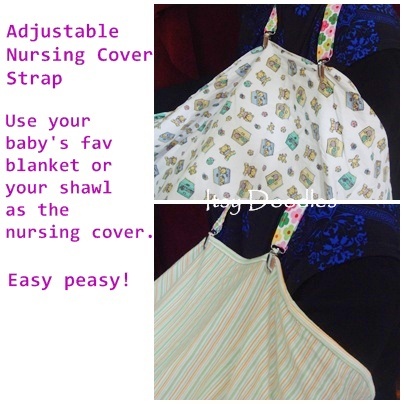 Introducing few items I find handy to have when you have a baby. I made them for myself and decided to make extra for the shop. Below are the two sets available. Each set comes with two pcs of burp cloth. 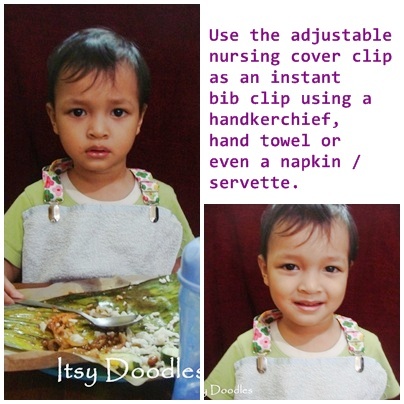 It's very versatile & multipurpose that you can use it as a nursing strap or as an instant bib clip. Wonderful isn't it?